After the show of Chepang, a great band from Nepal, at OEF this year we did not hesitate and reached out again into this mountainous country. 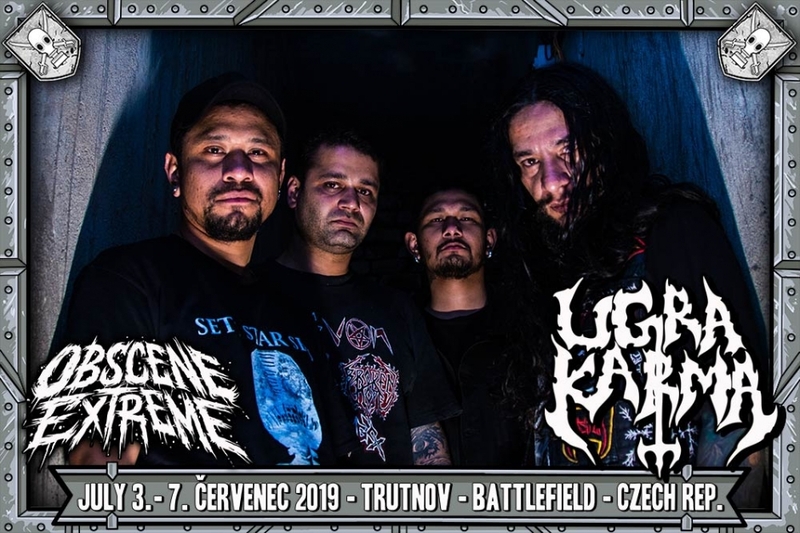 The great mountain death metalists, UGRAKARMA, are another great name at the OEF 2019!!! These guys were the very first to begin playing death metal in Nepal laying its foundations in this country. This legend of the style has been around since 1999 when they released a demo tape titled "The Himalayan Metal of Death"!!! The band around the brothers Bikram and Bijaye experienced also a hibernation between 2002 and 2012 but they have returned stronger than ever before and their mini album "Mountain Grinders" is a clear proof!!! UGRAKARMA has a certain scent of exotica but their old school death metal stands comparison with the greatest representatives of the style!!! This is what this quartet will convince you of at the OEF 2019!!! The Himalayan barbarians attacking!!! UGRAKARMA!!! Hailing from the nation of Nepal, UgraKarma has been unleashing aggressive and uncompromising Himalayan Metal of Death since the late nineties. As the first Death Metal band to spawn in Nepal, UgraKarma has helped keep the eternal fires of Metal burning in the Indian sub-continent. UgraKarma delivers ferocious, quick and no-frills Death Metal influenced by the early masters of Death/Black/Thrash/Grind. Following the reunion in 2012, UgraKarma is actively recording and playing live continually and without any pause, both inside Nepal and abroad. The band regularly assaults the masses with unrelenting metallic fury in bars, garages, small underground gigs, remote hilltops as well as large open-air festivals and tours.